Abdullah al-Shami has been held for six months. Trial of 3 other Al Jazeera journalists adjourned until March 24. A Cairo criminal court has extended by 45 days the remand of Abdullah al-Shami, a journalist who works for Al Jazeera Arabic, and postponed the trial of three other journalists from Al Jazeera English. Al-Shami has already been held for more than six months and has been on a hunger strike since January 23. The trial of three Al Jazeera English journalists in Egypt has been adjourned until March 24, Al Jazeera reported. The defendants remain in jail on charges of spreading false news and belonging to a terrorist group. Peter Greste, Mohamed Fahmy and Baher Mohamed, who have been held for more than two months, appeared in court for the second time last week when witnesses for the prosecution were heard. "Mohamed, Peter, and Baher are world-class journalists, and were simply doing the job – of journalism – covering and challenging all sides of the story in Egypt," Al Anstey, managing director of Al Jazeera English, said. "To continue to keep them behind bars after such a long time in detention is simply outrageous, so we continue to call for their immediate release." Correspondent Greste, an award-winning journalist, Egypt bureau chief Fahmy and producer Mohamed have been detained since they were taken from their hotel in Cairo on December 29. 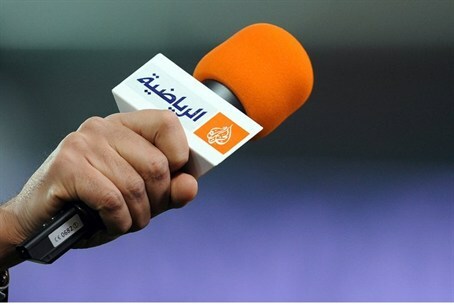 Al Jazeera, which is owned by the government of Qatar, has been called "the Muslim Brotherhood channel" and has been blamed for stirring up much of the violence that has rocked the Middle East in recent years and is often referred to as the “Arab Spring.” Its programs include a weekly broadcast by the Brotherhood's Sheikh Yusuf Al-Qaradawi.